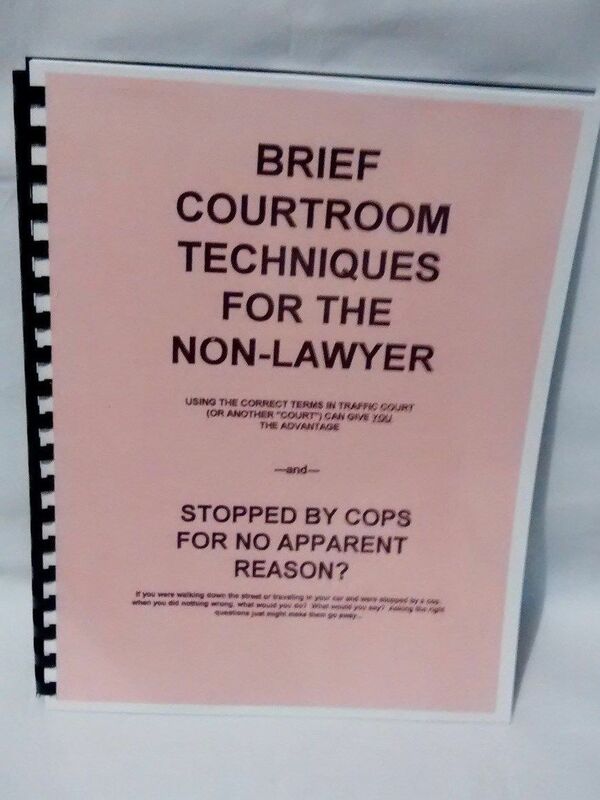 This book is a compilation of several brief courtroom strategies. Most of them are regarding traffic violations. Some of them are very similar however, they were gathered together from several different sources. 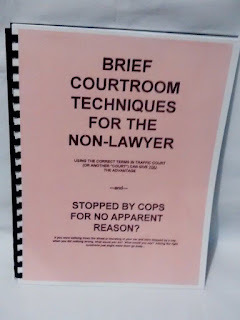 Should you find yourself in court, you might find them useful. Also included is a brief section on what you might say should you be stopped by a public servant(s) (cop) while walking down the street, riding in the car, etc. 31 pages of Highly useful information. This Book is a MUST HAVE! !